The Great Lakes hold 20% of the earth’s surface freshwater and provide drinking water to 40 million people. Save the date for a fun evening celebrating our work to protect the lakes. This inaugural event includes drinks and hors d’oeuvres. All proceeds support the Alliance for the Great Lakes’ work. Tickets available online at www.GreatLakes.org/CLB2018 Please contact Carolyn Rudinsky at crudinsky@greatlakes.org or 312-445-9736 with any questions. 14 local brewer bands will take the stage on Saturday, February 2nd at Wire in Berwyn, Illinois to raise money for Alliance for Great Lakes — you can't make great beer without Great (Lakes) water. With your ticket, you will receive a souvenir Brewers Rock Festival glass and a handful of tickets for samples of the more than 25 beers made by the brewers performing. Doors open at 3 p.m. and the music starts at 3:30 p.m. Purchase tickets here. 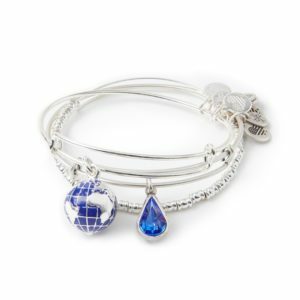 ALEX AND ANI will donate 15% of gross sales to Alliance for the Great Lakes on March 30 at all 5 Chicagoland locations from 1 to 4 p.m. Visit them at Orland Square, Oakbrook, Woodfield, Shops at North Bridge and Water Tower Place. Hit the beach with us — sign up for a beach cleanup today! Every spring, thousands of Adopt-a-Beach volunteers come together to get our Great Lakes beaches ready for the summer season. Join us this Earth Month for Spring Kick-Off, starting April 13th. Start the Adopt-a-Beach season off right with Alliance for the Great Lakes and the Urban League's MetroBoard. Every Earth Month, thousands of volunteers come together to kick off the Adopt-a-Beach season and get our Great Lakes beaches ready for the summer. Join us for Adopt-a-Beach Spring Kick-Off at 31st Street Beach in Chicago — and bring your friends and family! Start the Adopt-a-Beach season with Alliance for the Great Lakes, team leaders and volunteers. Every Earth Month, thousands of volunteers come together to kick off the Adopt-a-Beach season and get our Great Lakes beaches ready for the summer. Join us for Adopt-a-Beach Spring Kick-Off in Milwaukee, WI — and bring your friends and family!